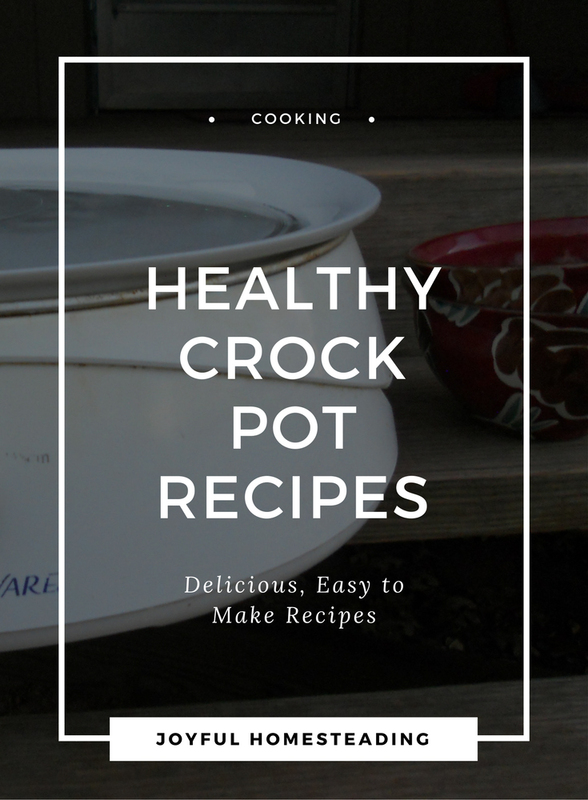 Crock pot healthy recipes are a great way to provide delicious, nourishing meals to your family while saving money and saving time. Apart from a little prep time in the morning, you can throw the ingredients into a crock pot, turn it on, and come home to a delicious smell and a wonderful, filling meal. Plus, with crock pot meals, you can make enough to take to work the next day, saving you from that expensive and unhealthy fast food burger the next day. But best of all, these recipes save you money. At the time of this writing, these recipes cost no more than $5 to $7 each to make and can easily feed a family of four to five with left overs. So if you're interested in becoming debt free, try these awesome and inexpensive recipes. This red beans and rice recipe is very simple and inexpensive to make, but it is also filling and satisfying. One word of caution about red beans is they need to be boiled before you eat them. If red beans aren't cooked to the correct temperature, they could cause food poisoning, so be sure to bring your beans to a boil before adding them to your crock pot. Then either cook this recipe on low for eight hours or on high for four hours. Do not eat the beans unless they are very tender. Also, neither my husband nor I care for spicy food, so I used sweet Italian sausage in this recipe. But if you like your crock pot healthy recipes to have a kick, switch to Andouille sausage or add some red pepper flakes. Rinse and wash your beans well and then place them in a large pot along with the water and the chicken bouillon. Bring to a full, rolling boil. Transfer the beans and the hot water to your crock pot and add the rest of the ingredients except for the rice. Serve the beans on top of the rice. I typically buy sliced ham when it is on sale, then divide it into several portions for this ham and bean soup recipe. I then wrap the ham in plastic wrap, vacuum seal it and freeze it. That way I always have ham on hand for crock pot healthy recipes like this one. For the beans, I use 13 bean mix (you can find it here), which includes is a mixture of red beans, split peas, pinto beans, white beans, black beans and black eyed peas. Rinse the beans well and place them in a large pot along with the water and bouillon. Bring to a full, rolling boil. Place the bean mixture in your crock pot and add the remaining ingredients. Cook on low for eight to ten hours or on high for three to four hours. Lima beans are a gift from heaven. 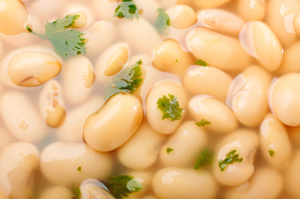 They have a tender, buttery texture and flavor, which explains their other name: butter beans, which is why no list of crock pot healthy recipes would be complete without one of two recipes utilizing these wonderful beans. Rinse the lima beans well and place them directly into your crock pot along with the rest of the ingredients. Cook on low for eight to ten hours or on high for four hours. Absolutely one of my favorite crock pot healthy recipes and very inexpensive to make, since it has no meat, but only lima beans and dehydrated vegetables. It's also easy to make. In a large pot, heat the oil and add the chopped onion, cooking until the onion is translucent. Add the flour and stir until the flour is completely absorbed by the oil/onion mixture. Gradually add water, stirring constantly until the flour mixture is well mixed with the water. Transfer to your crock pot and add the beans, carrots, celery and spices. Cook for 8-10 hours on low or 4-5 hours on high. At the end of the cooking time, add the tomatoes. This bean and bacon soup recipe has been a staple at our house for years. I usually cook the bacon for breakfast, and then save four or five strips for this. I also save and use some of the bacon grease, although you can substitute olive or coconut oil. It's one of our favorite crock pot healthy recipes. I guarantee that once you have tried this wonderful recipe, you will never return to the canned version of bean with bacon soup again. Cook the onion in the oil until it is translucent. Put the onion/oil mix in the crock pot along with all of the other ingredients except for the tomatoes. Cook on low for 8-10 hours or on high for 4-5 hours. At the end of the cooking time, add the tomatoes. Download the Homesteading Skill Builder Checklist Absolutely Free! Herb Chickweed was considered a weed at one time, and there are still many variations of Chickweed, so to make certain you are harvesting the right variety, sow your Chickweed from purchased seed. Make a decoction and you have a way of relieving minor ailments such as migraines, insomnia, colds and the flu without having to rely on costly medicines.